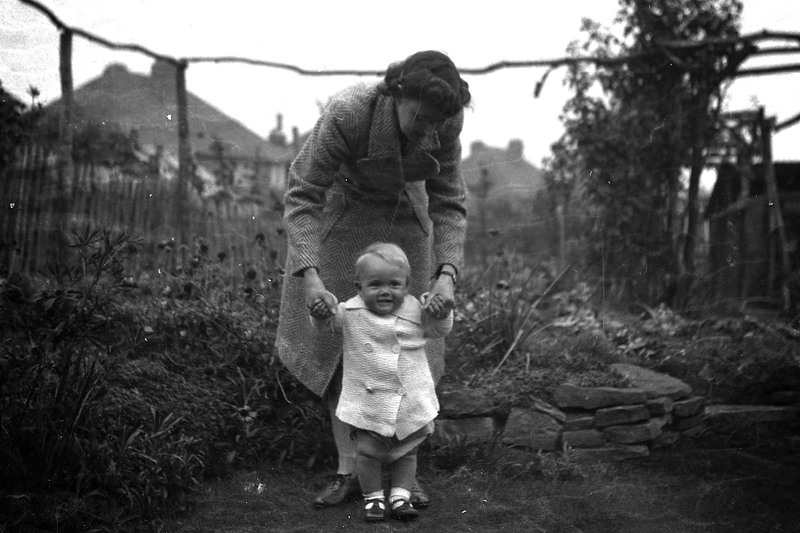 Eighteen years ago, my husband’s mother died. She had not been in the best of health, but her death was still unexpected when it occurred. It happened fast, one minute she was going about her life and 36 hours into a hospitalization for stomach pain, she was gone. A few days before she died she was still well enough to be making floral arrangements for her home and had put a bunch of cut branches from a twisted willow tree in her garden, into a vase of water. The cuttings were still there when my husband John noticed them a few weeks after her funeral while stopping by to check on his dad. Even though there was little water left in the vase, they had been there so long they were putting out roots. He picked up a handful of the cuttings as he was leaving, and took them home to plant around his house. 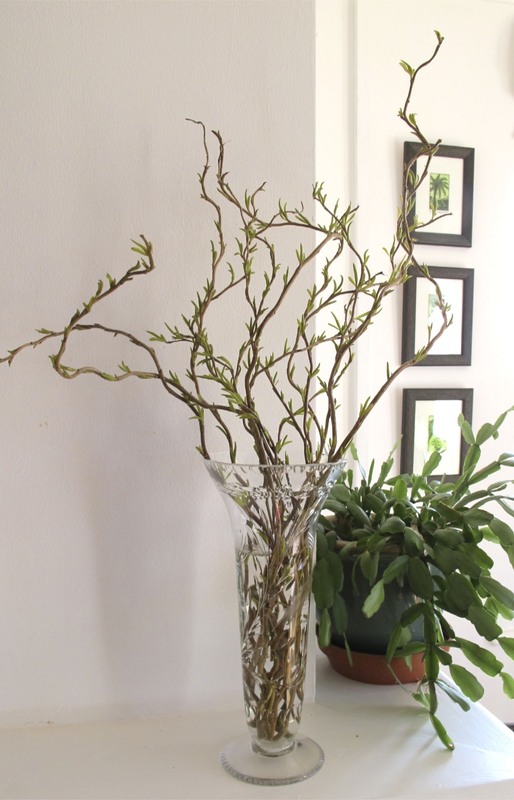 Moving five times during the eighteen years since her death, he’s always taken a few cuttings grown from the original twisted willow that he found in the vase that day. I loved the twisted willow that John had planted in the garden right from the beginning, at first because it was so pretty, and even more after he told me the story of how pieces of it had moved with him over the years. My grandmother was always picking up cuttings or passing them on and the story he told reminded me of how she would pinch off a piece of something I’d admired and send me off with directions on how to make it grow. Two days ago, I was disappointed when John said that he had done a massive pruning of the twisted willow plants in the front garden. I love the way they create a green barrier throughout much of the year making our front outdoor space feel much larger and more private than it actually is. They grow so fast and thick that I know he was right to prune them as he did, but I was still sad to see the large cuttings laid out nearby. Later that day, I was on my way to meet a friend from the village at the mobile library van and on impulse, I picked up a branch to take along to her thinking she might have a place for it somewhere. I left it outside her gate when I went on the van and forgot until I got home that I had not actually given it to her. After leaving her a message on Facebook, another friend from the village saw it and asked if she might have a cutting too. I was delighted to share more of the twisted willow and even left another piece for a third friend in the village who then asked if her future mother-in-law might have some as well. Today’s post is an updated version of one I wrote here, where I shared a story of how two friends I met through blogging who came to our village back in 2009. I sent them home with a small piece of twisted willow so there are more plants from the original cuttings growing somewhere closer to London now too. Considering the amount of cuttings being passed around along with the twisted willow plants left in the ground at the five homes where John planted it over the last eighteen years, and you can easily see why I chose the title I did. John thinks this vase is the same one he took the cuttings from after his mother died. He put some twisted willow in it this morning and I could not resist taking a quick photo to include with the post. As focused as I am on telling the stories of my life, I can’t tell you how much it makes me smile to be able to share a sweet part of John’s story. Never having met his mother, I can’t know what type of relationship might have developed between us, but I do know that it makes me feel good to be able to share cuttings from the last plant she took from her garden before she died. 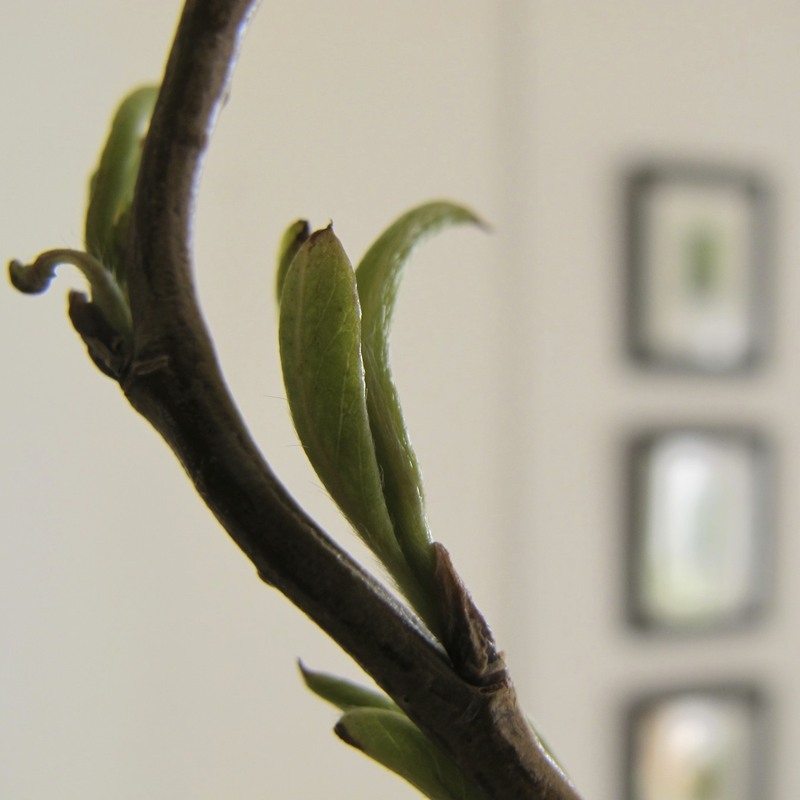 The new leaves are coming out now with the change in the season and by next spring, plants descended from Margaret’s twisted willow arrangement will be growing in gardens all around our village. I wonder what she’d think of that. This entry was posted in Bloggers, Cornwall, Family, Love, Memories, Photography, Travel and tagged Cuttings, Elizabeth Harper, Floral Arrangements, Gardening, John Winchurch, Margaret Winchurch, Mobile Library Services, Twisted Willow, Wartime Britain Photographs. Bookmark the permalink. Beautiful story. I’m sure she would be thrilled that the willow survives in a lot of different places. We had a plant my grandmother carried with her to every move for years, but somehow during all our moves it didn’t make it, which I very much regret. This is such a lovely story………….a way to share the love left behind by a special woman. I just know John must be so happy that you thought to share memories of his mother through Nature…………your village will be so pretty when all the cuttings root and the shrubs start growing! Beautiful story that brought tears to my eyes. When we had to move this past year and say goodbye to friends, I left my house plants with them. Plants create wonderful connections and memories. I bet she’d be chuffed to bits. Aww, that’s a lovely story, I will look after my willow well. OH dear, what a beautiful story. Absolutely beautiful. Warms my heart. Beautiful story, well told. I, too, love to gather cuttings from plants I see on my meanderings. At one of my homes, I had plants from all over the neighborhood and it always made me smile. I’d go on my walks with a fingernail clipper and snip bits from plants, bring them home to sit in a rooting solution and then plant them in my garden. Wonderful story to read. Sharing love in the simple ways … I wish I could have a piece of this twisted willow. What a lovely piece. Your writing continue to grow at an astonishing pace, my friend.